We weren’t ready to let go yet. I don’t care if school has started. 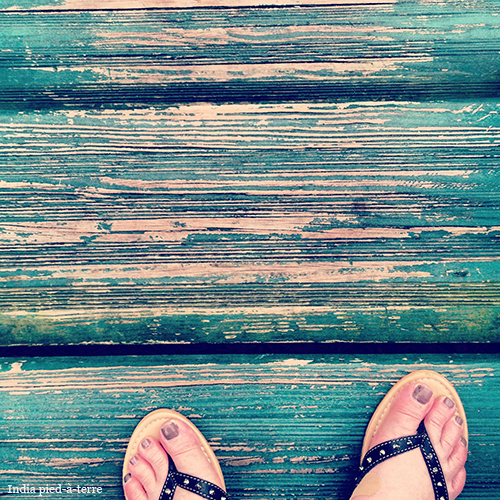 You could still walk back from the beach barefoot. The calendar still said it was summer. So it wasn’t just me sayin’ it – it WAS still summer. Before we dive into pumpkin carving and leaf raking, let’s enjoy every last second of summer. And also, summer and its band-aids on feet. I also found flat stones polished by the lake to make some beachy jewelry mementos. It was funny to watch everyone and what they chose to do on the beach. I hunted for visual things. 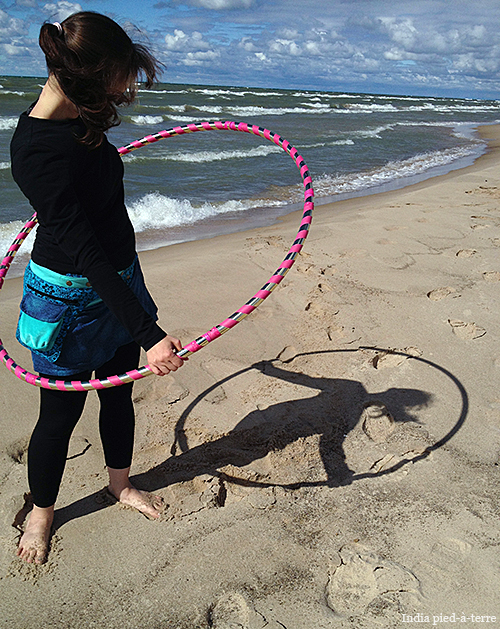 My sister, the personal fitness trainer and hoop dance teacher, hula hooped. (She also designs and sells the cutest hula hoops!) 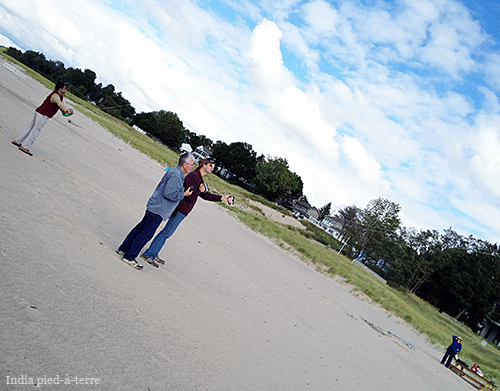 The guys flew kites. One was a parrot kite that flew quite well – the other kite was very rebellious and it dive-bombed everyone. My mom, always taking care of everyone, camped out on the picnic table with our stuff. 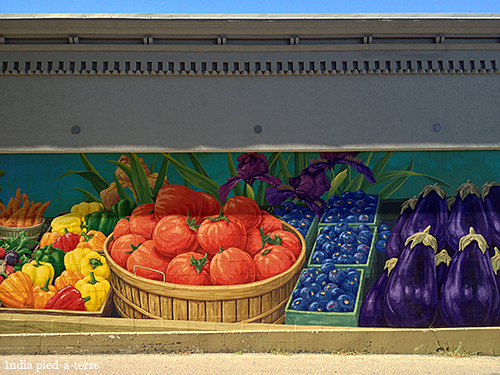 This was an enormous mural by the farmers market. 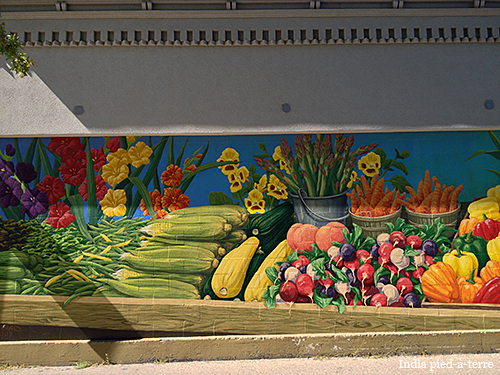 We shopped it on Saturday and were impressed with all the local food choices, and vegetarian and organic too. 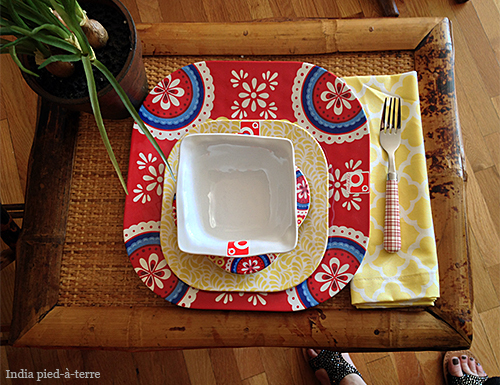 I found this table setting at Bayberry Cottage. They had Dash & Albert throws and rugs, limed oak, huge European style pottery, Uttermost lamps with an industrial linen look (pretty cool), huge tooth necklace pendants, and I could have taken photos there all day. 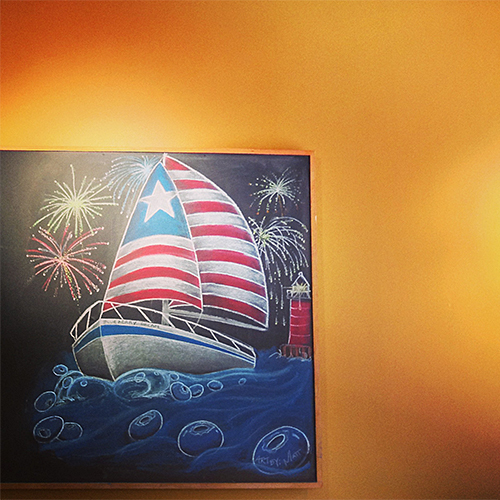 It was a fun eclectic mix for beach décor. Seriously, I hadn’t ever wanted a beach cottage until I went to that shop and saw how it could be decorated! Yes, summer and its clear view of the city skyline and sailboats in Lake Michigan. 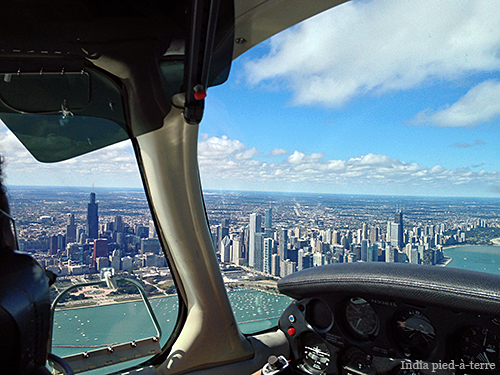 My husband has a pilot’s license so we flew. 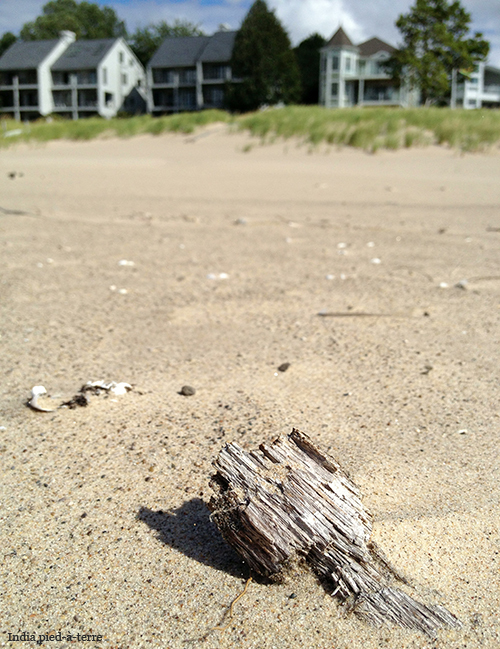 We were in South Haven this past weekend, a harbor town in western Michigan on the shores of Lake Michigan. We flew from the NW suburbs of Chicago to South Haven in only one hour! Driving would take about three hours. We’ll definitely be back. 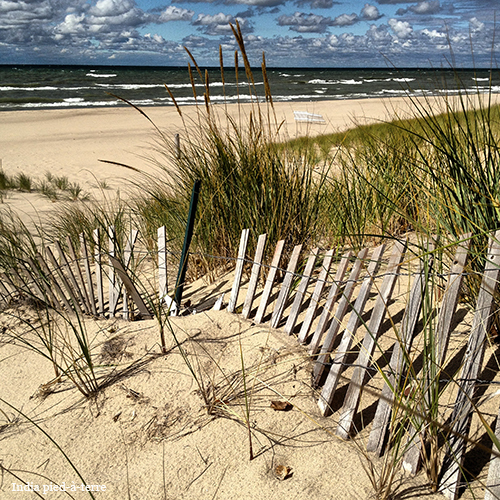 For people with family in both Chicago and Detroit areas, West Michigan is a great place to meet up halfway between. South Haven has good shopping, yummy restaurants, all kinds of outdoor sports, charming B&Bs, and even U-pick farms where you can pick bushels of blueberries and Michigan’s famous apples. Michigan’s vineyards have growing reputations now and there’s a wine trail with tastings of the colder weather varietals that grow well there, like Rieslings and Traminette. We picked up a bunch of bottles and wound up with Riesling-fueled karaoke in the cottage we all rented for the weekend. To Neil Diamond, no less. ?!?!? I will spare you the video of that.